Offshore catering workers on brink of industrial action if employers don’t offer a wage deal. Unite Scotland says that the union ballot shows overwhelming support for action on rigs controlled by Aramark, Compass and Trinity. The result of a Unite Scotland ballot of union members in catering in the North Sea has delivered a massive 80% in favour of some form of industrial action including strike action. The employers – the Catering Offshore Traders Association (COTA) – are insisting on forcing a second year standstill wage freeze in the sector. COTA have announced that they intend to impose a wage freeze for 2016/17 in spite of the union ballot result. Other workers in other sectors have been offered wage rises. Further comment Vic Fraser Unite Regional Officer m 07718 667245 / 01224 645271. 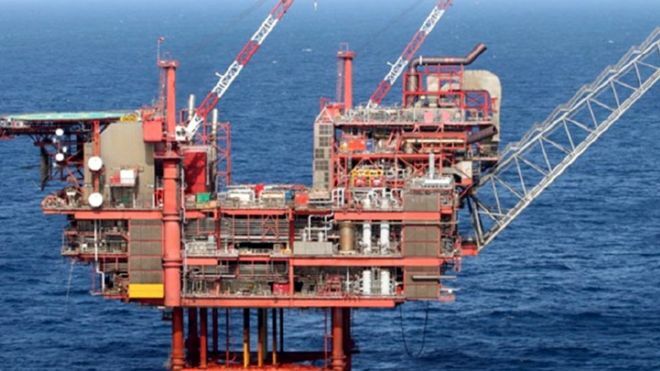 Offshore catering workers are on the brink of industrial action if North Sea employers do not offer a wage deal, according to trade union Unite. Worforce representatives say that the union ballot shows “overwhelming support” for action on rigs controlled by employers Aramark, Compass and Trinity. The ballot showed 80% of members working in the offshore catering industry are in favour of some form of industrial action including strike action. Unite say COTA has announced the intention to impose a wage freeze for 2016/17 in spite of the union ballot result. The union added that other workers in other sectors have been offered wage rises. Mr Fraser added: “This flies in the face of any sensible industrial relations. “Workers in other sectors of the oil industry offshore are being offered increases on basic rates so why can’t the COTA employers offer the same to the catering workers. A spokesman for COTA said the organisation was “disappointed” that members of Unite have voted in favour of industrial action. The spokesman also pointed out that in some COTA member companies, less than 50% of those eligible to vote supported the decision – the legal requirement for action. He added: “Our objective is to protect COTA employees’ jobs. Throughout the 2016-17 negotiations COTA has maintained open, honest and realistic discussions with the unions and negotiating committee around what the pay deal should be in order to adapt to our changing industry. If you are employed by an offshore COTA company and not yet a member of the trade Union Join today! Super Puma 225 helicopters, which were grounded after a fatal crash in Norway, are to fly over the North Sea again. The UK Civil Aviation Authority (CAA) and the Norwegian authorities have allowed flights to resume if operators meet new safety conditions. 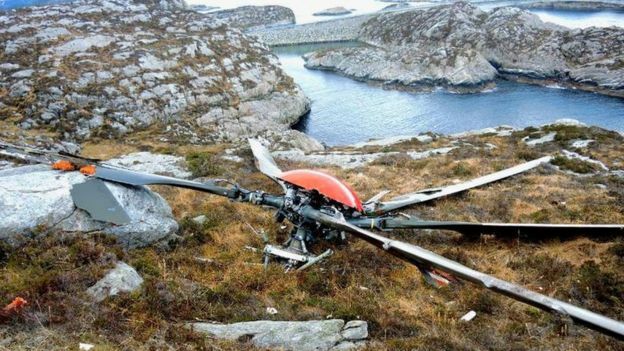 A crash involving the helicopter off the coast of Norway killed 13 people, including Iain Stewart from Aberdeenshire, in April 2016. The Unite Union has expressed concern about the decision. CAA head of airworthiness John McColl said: “This is not a decision we have taken lightly. It has only been made after receiving extensive information from the Norwegian accident investigators and being satisfied with the subsequent changes introduced by Airbus Helicopters through detailed assessment and analysis. The CAA said that helicopters would not begin flying immediately. A plan of checks, modifications and inspections will be undertaken before any flights take place. The Unite Union has expressed concern at the decision, saying its members were “very nervous” about flying in the helicopter. The union’s regional organiser in Aberdeen, Tommy Campbell, said Unite was still waiting to see a full analysis of the April 2016 accident and its causes. “The offshore work force have been surveyed, they’ve been surveyed by the unions, they’ve been surveyed by magazines in the industry and there is a lack of confidence,” he told the BBC. Les Linklater, executive director of the offshore industry safety group, Step Change in Safety, said: “At this time, there is an ongoing Airbus survey for pilots and passengers regarding these specific helicopters’ flight safety and comfort, which was issued just one week ago. It’s our understanding that this survey still has a further three weeks to run. “Given the importance of the workforce’s opinion regarding this highly emotive subject, we do not feel it’s appropriate to make any further comment until Airbus has gathered, and shared, the survey’s results and can demonstrate how they intend to address any concerns raised by the workforce. Scotland’s biggest union, Unite, has set up a petition to stop all commercial flights of the Superpuma H225LP and AS332 L2 helicopters in order to provide reassurance to offshore workers that their safety is paramount. This comes after the CAA announced plans to lift the ban last month. Unite and other offshore unions continue to demand the highest possible safety regulations and training when it comes to helicopter journeys involving offshore workers and this decision jeopardises this. Unite regional officer, Tommy Campbell said: “Our members are telling us that they have no confidence in the safety of these airframes and neither do their families. Offshore workers deserve to return back home safe to loved ones from working in the North Sea. “We need not only the usual assurances from the Oil and Gas UK operators, we need them to demonstrate that safety comes first and that they will not support the reintroduction of the Superpuma H225LP and AS332 L2 helicopters. Transporting offshore workers to and from oil and gas installations should be a safe and routine practice. However, Unite is claiming that a significant number of offshore workers and union members have expressed the view that the root cause of the gearbox problem that caused the crash in April 2016 remains unknown and as long as it does they demand the airframes should remain grounded. Unite will continue to work with all stakeholders in the UKCS who have a responsibility for health and safety in the Oil and Gas sector to ensure the highest safety standards are upheld and that commercial pressure and profit will not come before workers’ safety. Unite recently launched a Back Home Safe 2017 petition which calls for a halt to the reintroduction of the Airbus Superpuma model into service and the permanent cessation of commercial operations in the UKCS until the root cause of the gearbox problem is found and a full investigation is complete. In just over a week the petition has received around 1,500 signatures. Unite recently welcomed the introduction of the H175 Helicopter model as an alternative to the Superpuma, into commercial operations in the UKCS by helicopter operators including CHC. Unite claim this will offer some reassurance to members who make the journey to and from offshore oil and gas installations. The HSE said BG – which is owned by Shell – could not demonstrate the adequacy of fire and gas detection systems aboard the Lomond gas platform. Unite the Union, welcomes the HSE inspections and more inspections should take place especially after it has come to light recommendations had not been followed. However, it’s the UK Conservative Governments ongoing cuts and ideological choice on the austerity agenda which this attack on jobs and terms and conditions is a direct threat and with a significant drop in the number of inspections both offshore and onshore. Cuts to staff and resource in the Health & Safety Executive (HSE) this puts offshore Oil & Gas sector workers at a higher risk as there are fewer inspections taking place in this high-risk hazard sector.